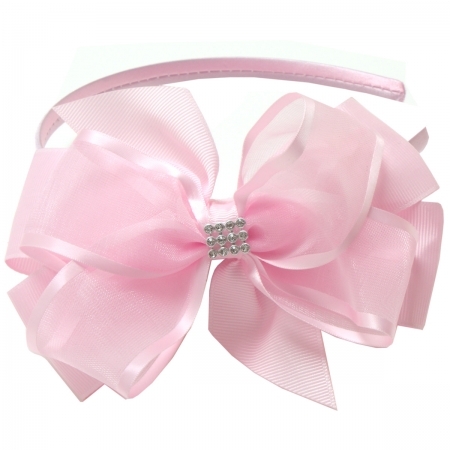 Pink Alice band with a large (6 inches) pink gros-grain ribbon and pink organza bow. The pink ribbons are are 1 inch wide. Diamantes in the centre. Alice band is wrapped in matching pink colour ribbon. From babies to 8 years.